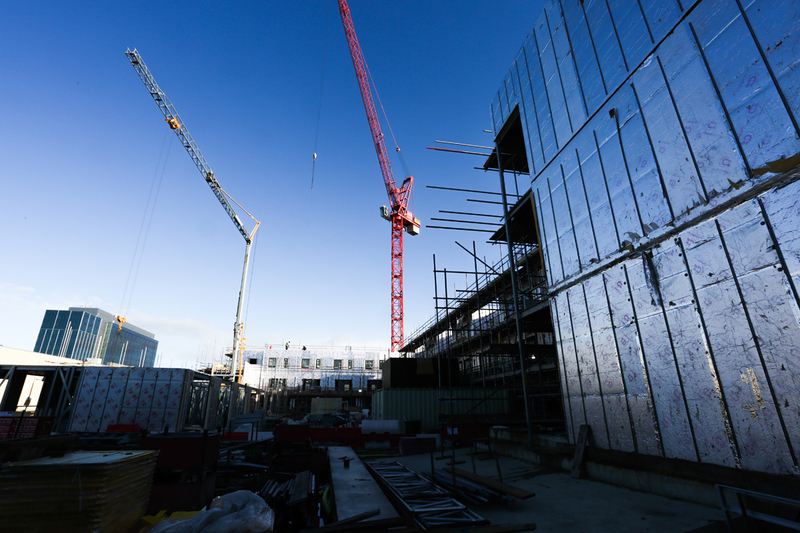 This month got off to a great start as we found out Hadley Steel Framing and client Saint-Gobain are shortlisted for the Best Use of Steel Technology in the Offsite Construction Awards. As part of the companies’ joint construction PR and marketing, we helped to compile the award entry. The award entry focused on Hadley Steel Framing and Saint-Gobain’s collaboration to produce a portfolio of through wall, steel frame systems. As well as helping projects run more efficiently, on time and with minimal waste, the systems reduce health and safety risks on sites. They also offer flexibility, high performance and peace of mind for residential building projects. In the award entry, we explained the benefits of the steel frame systems. We also focused on a recent case study. The steel frame system was used to convert 30, three-storey town houses on Edgware Road, London from traditional build to the steel frame system. And it was a great example to illustrate how efficient and flexible the system and building method is. The Offsite Construction Awards scheme celebrates the best in precision building design and delivery. The awards focus on prefabrication and factory-based methods, products and systems that improve building processes. In particular, the judges look for businesses that help to create a more sustainable, streamlined and cost-effective way of delivering a better built environment. As well as Best Use of Steel, categories include Best Use of Concrete Technology, Best Use of Timber Technology, Product Innovation of the Year and Architect of the Year. We wish Hadley Steel Framing and Saint-Gobain the best of luck at the award ceremony on 6th March at ecobuild! Find out more about what a construction PR and marketing agency does here.